The upcoming municipal polls in Uttar Pradesh will be a key test for Chief Minister Yogi Adityanath as they would indicate whether the priest-turned- politician has been able to ensure that the BJP continues to maintain its popularity level. Earlier this year, riding on Hindutva wave the party had secured a three-fourths majority in the state assemble paving way for 45-year-old saffron-clad Adityanath to become the chief minister. The civic polls, to be held in November-December, is being seen as a major challenge for the Hindutva leader as the outcome would reveal the mood of the voters ahead of the 2019 Lok Sabha elections, political observers say. The notification for the local body polls is likely to be issued by the end of this month. “Voting for local bodies is based on local issues. In the civic polls people cast ballots. The masses will get a chance to register their disapproval of the anti-people BJP government,” Samajwadi Party MLC Rajpal Kashyap said, adding the urban local polls would be the first direct elections with Adityanath at the helm. The BJP’s victory in these polls would be seen as a stamp of approval for the Adityanath government. “The results will also present an opportunity to the party for course correction in their policies and governance,” political observer and academic Manjula Upadhyay said. The urban polls were earlier scheduled for June-July, but were postponed as the electoral rolls and some other processes could not be completed within the stipulated time. The Aam Aadmi Party is gearing up to contest these polls. “We will contest from wherever we feel we have a strong organisational base,” AAP leader Sanjay Singh said. The Arvind Kejriwal-led party had not contested the Uttar Pradesh Assembly polls and instead diverted all its resources to focus on Punjab. The SP and the Congress, which forged an alliance in run up to the 2017 UP state polls, have decided to contest these elections separately. SP chief Akhilesh Yadav has said his party will have no alliance in the elections to urban local bodies and would contest them on its ‘bicycle’ symbol. As for Congress, senior party leader Ghulam Nabi Azad had recently said his party would go alone in the urban local polls. The Bahujan Samaj Party is also fighting the polls sans an alliance. In the event of a split in non-BJP votes, the saffron party will have an edge. Expecting that a split in opposition votes would help the BJP’s prospects, its spokesperson Shalabh Mani Tripathi exuded confidence that the party would register an impressive win. “The BJP has started Vikas Parv, which will disseminate information pertaining to various developmental schemes and projects of the Centre in the last three-and-a-half years,” he said. “It will also spread information about the developmental works undertaken and achieved in the six-months of the Adityanath government in the state,” Tripathi said. The AAP has already released its first list of 19 candidates for the Lucknow Municipal Corporation election. According to a release issued by the party, Priyanka Maheshwari is its nominee for the post of Lucknow mayor. Although, the BJP has traditionally been strong in the urban constituencies, the acid test for Adityanath would be to match the performance exhibited during the Assembly elections. Around 30 million voters would be eligible to exercise their franchise in these polls to be held for over 650 posts, including 438 municipal boards, 202 town areas and 16 corporations, also comprising two newly constituted Ayodhya Nagar Nigam and Mathura-Vrindavan Nagar Nigam. In 2012, the BJP had swept these polls, winning 10 of the 12 mayoral posts. Lucknow mayor Dinesh Sharma is now a deputy chief minister of the state. In the coming months, the spotlight will also be on the Gorakhpur and the Phulpur Lok Sabha bypolls with the recent Amethi visits of Congress vice president Rahul Gandhi and BJP chief Amit Shah and the SP national convention in Agra setting the stage for a high-octane contest. 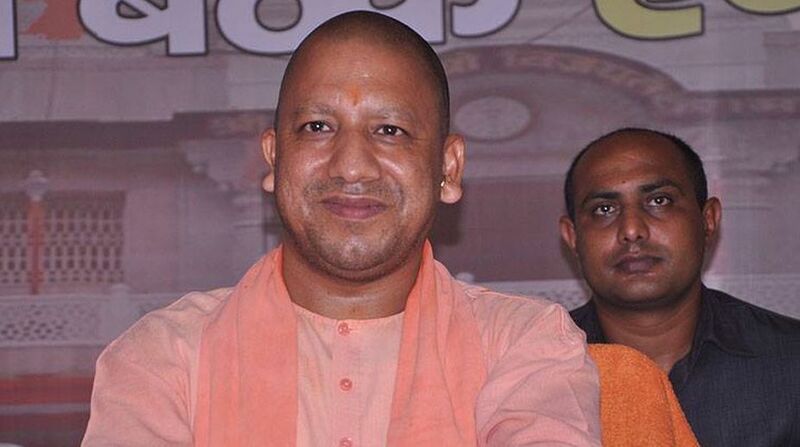 Though no date has been announced by the Election Commission, the two Lok Sabha constituencies will go to polls in the near future as Adityanath and his deputy Keshav Prasad Maurya vacated them after becoming MLCs. “Undoubtedly, the BJP will not only emerge victorious in both the by-polls, it will also improve its victory margin,” UP BJP spokesperson Manish Shukla said. The Samajwadi Party has also claimed that it is ready to contest the bypolls. Akhilesh Yadav told the party’s Agra convention earlier this month that the two key by-elections would give his party a chance to gauge which way the wind was blowing, months after it was routed in the Assembly polls. Akhilesh Yadav had said if results of the elections were in “our favour, it will give a message not only for the 2019 (Lok Sabha polls), but also for the 2022 (assembly polls)”. There has been no word from the BSP yet on whether the party will throw its hat in the ring. Usually, the Mayawati-led party stays away from by-polls, but with the scenario different this time, nothing could be said right now, party insiders said.